I've been a fan of Beck for years - if I was looking for an act I would describe as my 'go-to' for describing what indie rock can deliver at its best, Beck would be near the top of my list. Beautifully textured instrumentation (most of which he plays himself), dense lyrics, and a real heartfelt connection to his music that shows he's giving it his all, he's one of the most talented composers and songwriters to explode in the 90s, and all of his albums are worth your time, with my personal favourites being Mutations and Sea Change. That being said, Beck has been fairly quiet over the past few years, his last major project attracting headlines being Song Reader, a book full of sheet music he wrote for others to put together if they wanted to play his material. It turned out he had a very good reason for delaying his most recent effort: he had received a spinal injury back in 2008 which had led to a painful recovery process (one of the reasons the vocals on his last album Modern Guilt were so subdued and muted). That, on top of his other assorted projects and a change in label to Capitol Records, meant that by the time Beck had planned to release his newest album, six years had gone by, which really can feel like an eternity in indie rock. But now he's back with his newest album Morning Phase and I couldn't be more excited. A return to his country and folk roots with a decidedly lighter tone (well, lighter for Beck), paired as a companion piece to Sea Change? There aren't many ways to get me more enthusiastic about an indie rock project! So, did it live up to my expectations? Okay, the first thing you'll immediately notice is the sound is very reminiscent of Sea Change in a good way. Catchy, finger-picked acoustic melodies, beautifully harmonized string sections, and moments where the music could send you to sleep for how organically textured and calming it is. And yet the production feels 'bigger' - the reverb is thicker, the sounds linger in the mix, there's more echo and synthetic elements that seem to disrupt the intimacy at first listen, especially when you hear Beck's vocals. And while he's always been great at conveying emotion and vulnerability through his voice, you start to wonder why on earth he used so much echo and multi-tracking, and how it never quite feels intimate in the mix (except for one point - I'll get to it). For most of this album, Beck sounds distant, almost detached from the experience, and you start to wonder if he succumbed to the reverb-heavy modern production that's been annoying me in indie rock. Throughout my first few listens, I seriously thought more intimate, raw production in his vocals would better fit the more organic instrumentation, so what was Beck doing? And if you went into the lyrics and melodies... well, they made even less sense. For an album titled Morning Phase, why were the lyrics so melancholy and desperate, the melodies so loaded with minor keys and real sorrow? I went in expecting sunshine and cheer, or maybe a quiet uplifting feeling, not this emotionally compelling yet distinctly sad, melancholic music? What the hell was going on? And then it hits you: Beck's Morning Phase isn't just a companion piece to Sea Change - it's a sequel. Whereas Sea Change told the heartbreaking, emotionally draining story of a break-up, Morning Phase is the aftermath telling the story of both partners trying, failing, and eventually succeeding in moving on. And suddenly all the weird decisions lyrically, in the melodies, and in the production make complete sense. 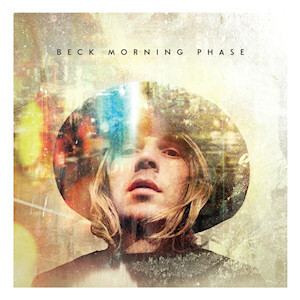 The album starts intimate with 'Morning', where Beck is trying to convince the partner to try again in a new day, but she's moving on, trying and not really succeeding to integrate back into regular life with 'Heart Is A Drum', mostly because there's still underlying emotion there she hasn't processed. They try for a final departure in 'Say Goodbye', but it rings hollow and Beck spends the next three songs trying to cope with his feelings of being on his own. This, incidentally, is the weakest part of the album, not because Beck doesn't succeed in capturing the very tricky emotion of trying to emotionally isolate from somebody with whom he once had a powerful connection, but because that's not exactly a pleasant emotion to capture. And while the moment of weakness in 'Unforgiven' where he says he'll wait for her to come back is a bit of a respite, the album hits its weakest point with 'Wave', where Beck tries to capture that isolation moment and it doesn't come across very well. And then we get a very human moment on this album: the girl comes back into the picture. 'Don't Let It Go' seems to imply her lingering feelings push her back, and in 'Blackbird Chain', Beck seems overjoyed and he swears he'd do anything to rebuild the relationship to what it was... and yet the instrumentation in those last few bars paint the picture that both of them know this isn't going to work. It leads into the best song of the album in 'Turn Away', both in its poetry and deeper meaning, where the girl realizes that it will only make things far worse if they try again, so she must move on with her life and Beck needs to be okay with that. And the album ends with two songs that capture both parties' points of view. 'Country Down' is Beck's, with the production on his voice eased back just a bit to make it come across as more intimate as he muses on being left behind - and while there's grief there, he sounds as if he'll make it through. The real highlight, though, is 'Waking Light', the song where the girl finally gets over her feelings and forgets Beck altogether, and while the relationship has shaped her life, the emotional ties have faded and she can move on - and it's the best possible thing, like waking to a new dawn. In short, this album is genuinely great, but it's also the sort of album that will mislead some people if they don't get the proper context. When critics are saying it's a companion piece to Sea Change, they aren't kidding in the slightest, and it works best when paired with that album. That being said, it's not better than Sea Change - some of the production gimmicks do wear a little thin, some of the songs are a little underwritten from a technical standpoint, and while Beck does manage to build an impressive and startlingly effective emotional roller coaster, there are points where even Beck can't make the songs click effectively. Yet even with that, this album is a strong 8/10 and a definite recommendation. This is the Beck for which I've been waiting for the past six years, and I'm happy to see him back in good form, taking us into the morning sun.